If you cut your finger, would you be able to recall how it happened? Even though that might seem like an inconsequential question, it became a major one for O.J. 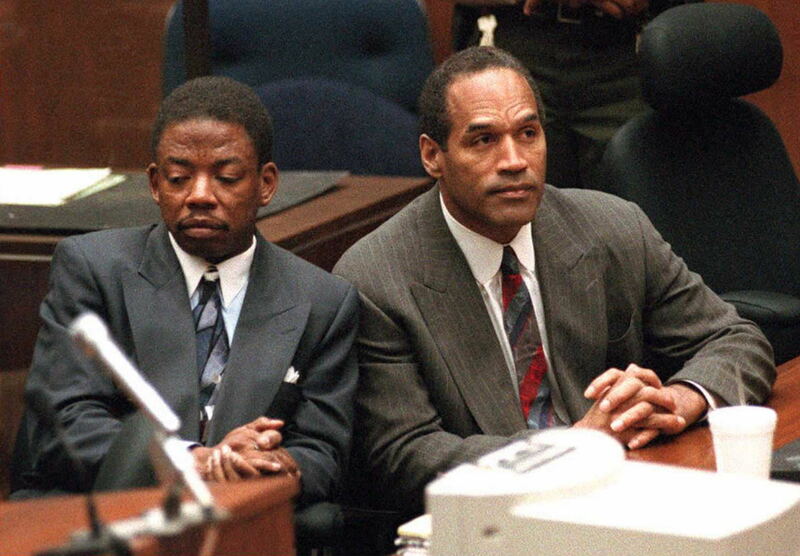 Simpson during his 1995 trial, in which he was eventually acquitted for the murders of his ex-wife Nicole Brown Simpson and Ronald Goldman. So how did O.J. Simpson cut his finger in June 1994, before or on the date of the murders? Simpson himself gave different answers during the investigations, the 1995 murder trial, and the 1996-1997 civil lawsuit, in which a jury found that Simpson was liable for Brown Simpson and Goldman's deaths and he was ordered to $33.5 million in damages to their families. On June 12, 1994, the day of the murders, Simpson had a cut on the third knuckle his left hand, which the New York Times described as "swollen and oozing fluid." Simpson had told police he did cut his finger on that day, but didn't remember how, and that he allegedly re-injured it on a trip to Chicago when he broke a glass, grieving for his ex-wife, according to the New York Times. Fast forward to March 1995, during the criminal trial: Simpson's lawyers claimed that their client's hand is always swollen, but the prosecution argued with before and after photos that the cut did occur on the night of the murders, reported the NYT. The topic resurfaced in the civil lawsuit. The plaintiff's attorney, Daniel Petrocelli, invited a detective to testify and he discredited Simpson's hotel room claim, saying there was no blood on glass found in his Chicago hotel room in 1994, according to the Los Angeles Times. Petrocelli asked Simpson if he remembered cutting his finger during his deposition and the former football star responded, "I remember bleeding," according to ABC News. He also responded "yeah" when asked if he cut his finger on glass. Forensic pathologist Dr. Werner Spitz offered his expertise in his testimony, claiming after looking at an oversized photograph that Simpson's cut — "jagged edges of three curved wounds that measured up to 2 1/4 inches long," wrote the LA Times — was caused by fingernails. "These are not caused by glass and these are not caused by a knife," the doctor claimed, according to the newspaper. "These are fingernail marks." When asked about the cut in a 1996 interview with journalist Ross Becker, Simpson, who has maintained his innocence, instead discussed the workers the Los Angeles Police Department used to collect the blood from the crime scene. "If the blood was the key to their case, why is it the most contradictory testimony in this case — in which they've taken a complete 180 — has been with the LAPD blood collection people," Simpson claimed in the video. "I think obviously people in the LAPD went out of their way to make me look guilty." In 1997, Detective Mark Fuhrman, who was accused by Simpson's defense in his criminal trial of planting evidence in the case, called the defense's claims "ridiculous accusations," according to the Seattle Times. A lot of attention has been paid to the cut on Simpson's finger and thanks to O.J. : Made in America, it'll be in the spotlight once again.